eTouchPoint recently earned recognition one of the top 75 customer experience blogs on Feedspot. 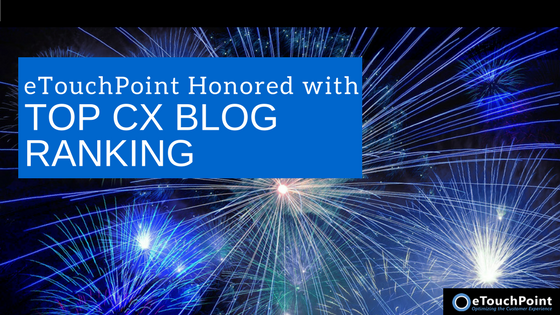 We are proud of our status as a top CX blog and committed to creating high-value content for the CX community. A web-based content curation service, Feedspot help readers keep up with all their favorite blogs and news sites in one place. It offers a range of services to help individuals keep track of information on the internet efficiently. 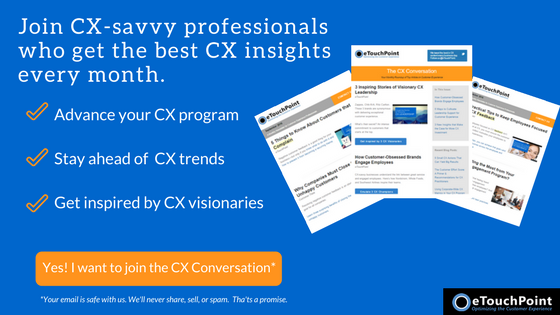 Launched in 2016, eTouchPoint’s blog “The CX Conversation” is a comprehensive repository of compelling content for professionals striving to take their customer experience programs from good to exceptional. eTouchPoint applies its 20+ years working with Fortune 500 leaders to answers common questions and solve real-world problems for CX practitioners with every post. You can keep up with eTouchPoint’s blog posts by receiving our monthly newsletter. In addition to featuring our latest insights, the newsletter covers the best in industry content.